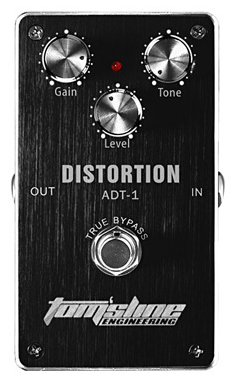 Get that classic distortion for your guitar tone with the Tomsline Distortion True Bypass Guitar Effect Pedal! Give your guitar sound that gritty, aggressive edge. Perfect for hard rock, punk, and metal, the Tomsline Distortion True Bypass Guitar Effect Pedal is versatile and is a must have for any guitar enthusiast!